to take refuge from a storm. A refuge is a safe place. In the Old Testament they had cities of refuge people could go to for safety. When the Bible describes GOD as our refuge, it’s saying that HE is our safe place when we need protection from something or someone. 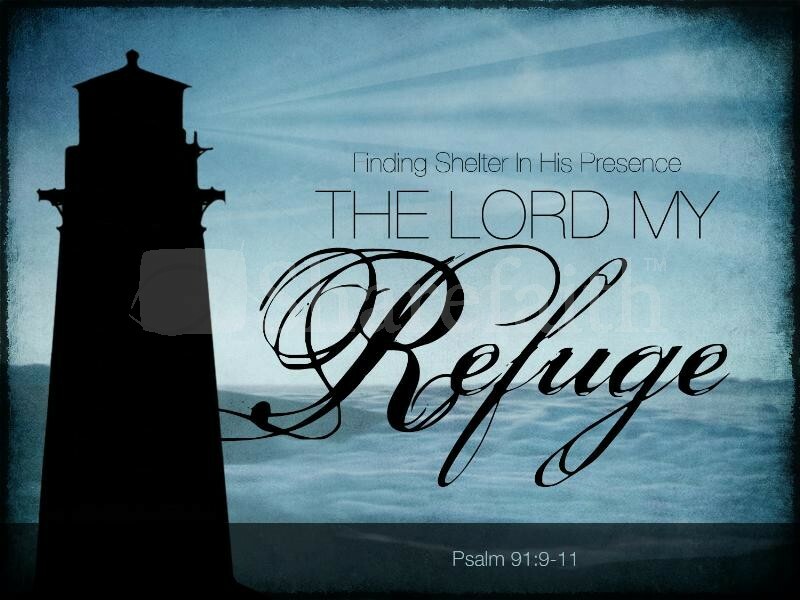 When we know that JESUS is our refuge and HE protects us and strengthens us, we will trust HIM quicker and more often. We won’t fear situations or people who threaten us physically or spiritually. There is no situation we will ever face that is out of GOD’s control, so the best place to be, always, is with HIM. The word “refuge” tells about GOD’s power to save us from sin. HE provides shelter in a storm and friendship in times of loneliness. JESUS gives us HIS peace, HIS comfort when we need it. Run into the arms of JESUS when you think you can’t take it anymore. HE is our strength. HE is our strong tower. HE loves us more than anyone ever could. HE will never let us down. Whenever you get in trouble call on HIS name and know that HE is right there, right now to get you through it. Sometimes HE calms the storm and sometimes HE calms us to get through it. JESUS will get you through anything you will ever face. Sing Praises to HIM – Worship HIM. Love HIM. Know HIM. Hang out with JESUS. Embrace HIM. Let HIM know you. Say it now, JESUS is my refuge and my fortress, HE is my GOD, I will put all of my trust in JESUS.